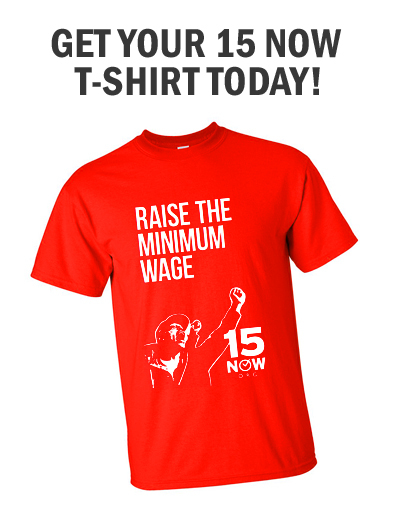 Back in January, a poll of Seattle voters showed a whopping 68 percent supported a $15 minimum wage, a level of support that was surprising even to the labor coalition that funded the poll (and the pollsters who conducted it). But that was before the debate heated up, before multiple proposals were out, before big business had time to start organizing. What, people wondered, would voter support look like now that we’ve been debating the issue for four months? 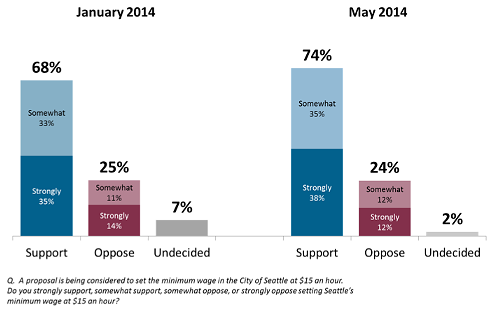 Well, according to a just-released poll by the same firm and paid for by SEIU 775: Support for a $15 minimum wage has now hit 74 percent of likely Seattle voters.